Why do chimneys need to be swept? The substance that is pictured on the right is called creosote. This substance can burn at temperatures up to 3000 degrees Fahrenheit and can have the same ignition temperature as a piece of paper. Chimney flues are meant to contain exhaust gases, not combustion. 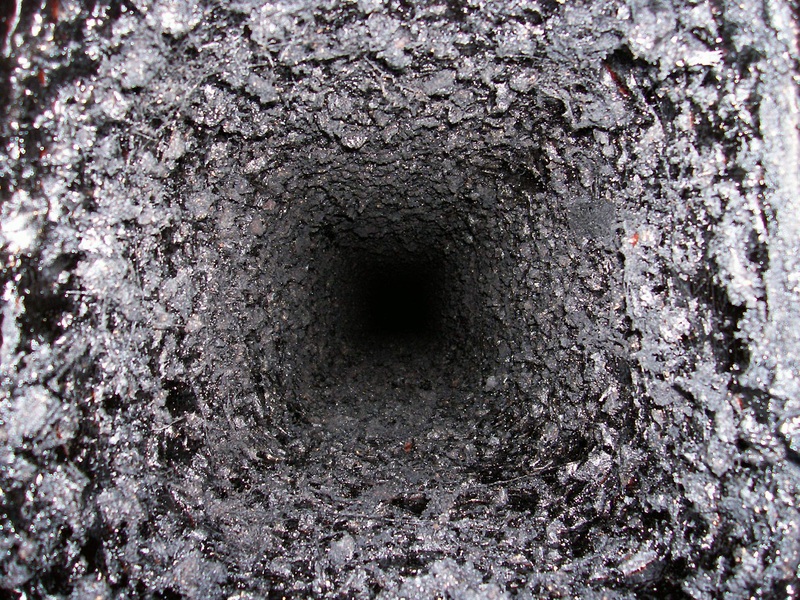 Sweeping a chimney removes this dangerous material so the chimney contains no fuel that could ignite. Chimney fires can sound like a freight train (free burning), or they can smolder and go almost unnoticed by the occupants of the home (slow burning). In either case, a chimney fire is potentially hazardous. Fire can spread to the home, or the chimney can do its job and protect the home, but it is irreparably damaged in the process. Other factors such as bird’s nest inadequate clearance to combustibles and pyrolized house framing can contribute to structural chimney-related fires. These factors are equally as important as creosote build up and are investigated in the course of a thorough inspection. Sweeping a chimney primarily refers to the removal of creosote deposits so it is advisable not to disregard “inspections or evaluations” as unimportant. The Chimney Safety Institute of America and The National Fire Prevention Association both recommend a yearly chimney inspection to prevent fire hazards. Most American homeowners believe that they only need to have an inspection done if they burn a lot of wood. Our 21 point chimney inspections are not only to check for creosote build up but also to find any type of deterioration or problems before they become a hazard and/or a very expensive situation. So please contact us today to assure a safe and efficient running heating system for your home.